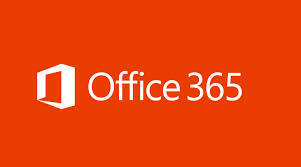 During 2019, many companies will upgrade from Office 2010 or Microsoft Office 2013 to Microsoft Office 2016 or Microsoft Office 365. The majority of these organisations will expect their staff to unravel the mysteries of the new versions for themselves. Whichever version you are upgrading from, you are bound to find changes in the new version . It takes time for people to find their way around the system and to find out what exciting new features there are which were not available in previous versions. However, investment in Microsoft Office 365 upgrade training and possibly floorwalking, could quickly take away the apprehension of staff and make them more productive very rapidly. Most people will use Microsoft Word and Microsoft Outlook; a two-hour Microsoft Office 365 upgrade training workshop would bring people up-to-date with the Microsoft Office 365 new features. Office 365 allows you, and your business, to access email, document, contacts and calendars from virtually anywhere, on almost any device. It offers you Word, Excel, PowerPoint, Outlook, OneNote, Publisher and Access. The new Office works great across all your devices in addition you and your business get the opportunity to get five licenses to be used on any PC, Laptop or Mac. It works great with touch, mouse and keyboard, or pen. You may want to make use of SharePoint, OneDrive, Teams, Planner and other apps. Workshops combined with floorwalking enable personnel to ask questions specific to them and iron out any problems they may be facing with finding how to do things in Office 365 that they previously did with older versions. Depending on the size of the organisation, some companies may convert everyone to Office 365 at once; others may move staff over at a more gradual pace. Office 365 upgrade training, workshops and floorwalking could be done over a few days in one week, or a day or two per week spread over several change. Staff then become productive in the new software rapidly, and embrace the change rather than resenting it. Our charge per day for Office 365 workshops and floorwalking is £695 + VAT. We offer Office 365 training in London and surrounding areas including Feltham, Reading, Croydon, Leatherhead, Dorking, Walton, Epsom, Esher, Woking, Banstead, Bracknell, Heathrow, Sunbury, Uxbridge, Farnham, High Wycombe, Crawley, Sutton, St Albans, Watford, Fulham etc. Why migrate to "the Cloud"? We provide Microsoft Office 365 upgrade training, Microsoft Office training courses, other IT training courses and Personal Development training courses in London, Richmond, Twickenham, Kingston, Hounslow, Brentford, Putney, Kingston, Wimbledon, Walton-on-Thames, Chiswick, Teddington, Hampton, Feltham, Acton, Ealing, Heathrow, Egham, Staines, Hanwell, Sunbury, Hammersmith, Fulham, Greenford, Clapham, Chertsey, Woking, Weybridge, Wandsworth, Middlesex, Surrey, the M25 corridor, High Wycombe and beyond. We will travel further if expenses are covered.